The facts, DiCaprio, the facts. We’ll all perish? All humanity?! Perish the thought. 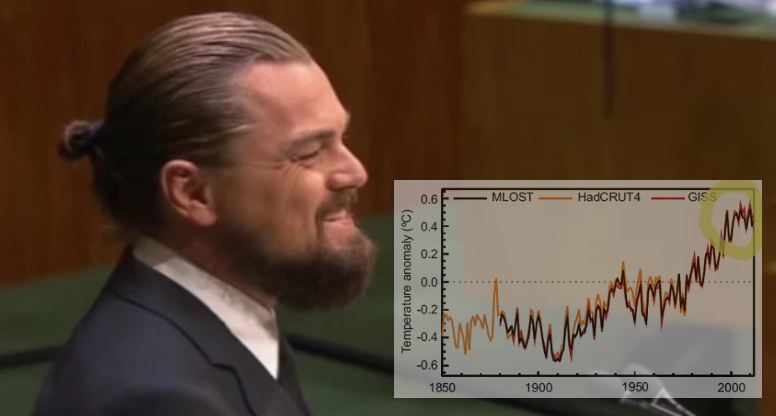 Leonardo DiCaprio has once again been completely captured by the IPCC misinformation campaign on global warming. A few days ago he addressed the United Nations conference on climate change to echo in their own chamber their self-created myths. This is my message to Mr DiCaprio.